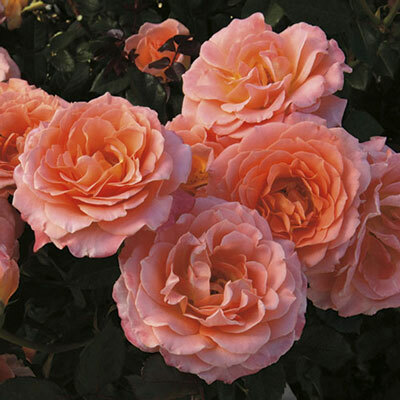 Lusciously lovely, delectable peachy-pink color sets apart this sister seedling of Sparkle & Shine. They may have their differences (peach-pink vs. deep yellow). But, like most sisters, they share some likenesses, too. Both are distinctive because of their large showy clusters, long-lived flowers with lovely color, round bushy super-flowerful habit, loads of glossy green leaves & consistent dark red new growth. Buy 'em both & let these sisters battle it out for who's the best in your garden.